Noveno album de Amon Amarth publicado por Metal Blade en junio del 2013. 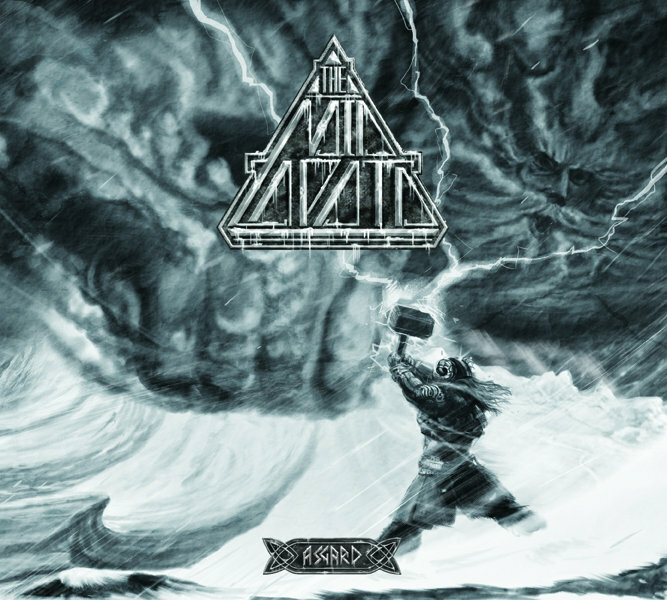 Messiah Marcolin (ex-Candlemass) − guest vocals on "Hel"
Thor: for Asgard es una miniserie de la Marvel escrita por Rob Rodi, dibujada por Simone Bianchi y que publicada entre septiembre del 2010 y abril del 2011. Asgard está envuelto en oscuros sucesos, con los asgardianos divididos en diversas facciones, Odín desaparecido (y del que se sabrá un viejo y terrible secreto), Balder muerto... Thor tendrá que hacer frente a todos los problemas, incluido la pérdida de Mjollnir. Beginning an epic adventure showcasing the God of Thunder as you've never seen him before! The vassals of Asgard are in armed revolt...Odin is missing...Balder is dead...and the entire continent is battered by a years-long winter. How can Thor put the empire back together – especially with his mighty hammer Mjolnir mysteriously denied him? The epic adventure continues, with the god of thunder as you've never seen him before! As endless winter rages, the Asgardian court dissolves into bitter factions, and a shocking death prompts Thor to depart his troubled capitol at its moment of greatest peril. Plus: an electrifying revelation about Odin! You'll never look at the All-Father the same way again! 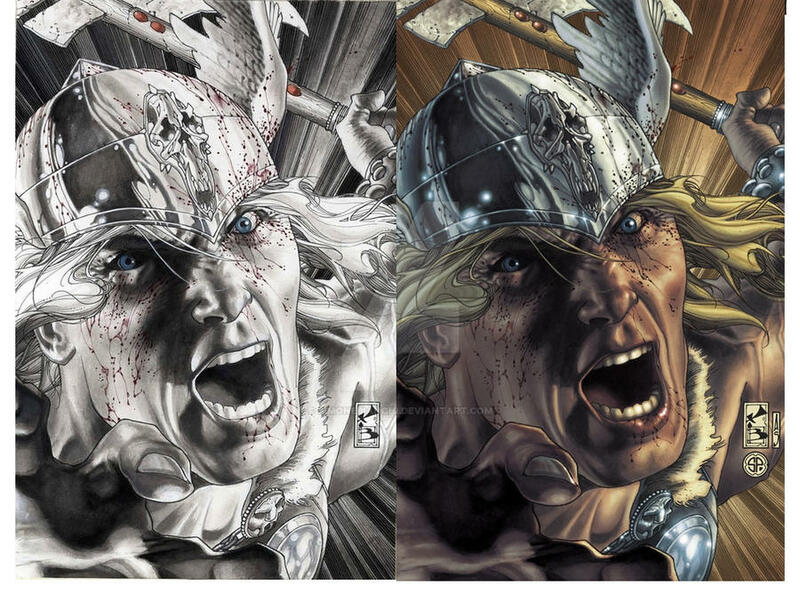 The epic miniseries continues, showcasing the God of Thunder as you've never seen him before! With Asgard still reeling from dissension, war, and endless winter, the underworld goddess Hela seizes the moment to strike decimating not only the Asgardians' future, but their legendary past as well! Meanwhile, Odin learns the shocking consequences of the atrocity he committed eons ago...and Thor confronts a suicide bomber in the ranks of his own elite guard! Racing towards the conclusion of this epic miniseries, featuring the god of thunder as you've never seen him before! After the deadliest attack yet on Asgard's very foundations, a presence from the past resurfaces to show Thor the true state of his crumbling empire, and to point him towards the solution... a shockingly final solution. Also, Odin pays the ultimate price for his long-hidden, unspeakable crime. 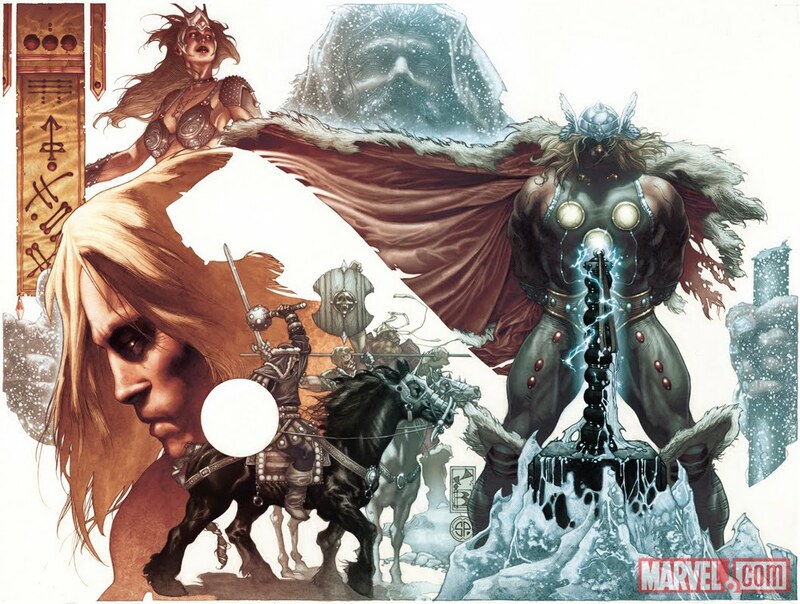 The epic miniseries concludes, with the god of thunder as you've never seen him before! Asgard's empire is in upheaval...Asgard Palace is under siege... and Thor has lost his hammer, his throne—his very life! At his lowest ebb, in his darkest hour, the son of Odin undertakes the most audacious feat of his career, in a spectacular attempt to trigger a new age of heroes. Wild and uncontrollable Icelander Egill Skallagrimsson is not a handsome man. When the god Odin hears his plea to become a great warrior, Odin promises Egill he'll become famous indeed -- not as the warrior he wishes, but as a poet. Words may well come in handy when Egill sneaks aboard the ship his brother, the handsome Thorolf, is sailing from Iceland to Norway. Thorolf seeks to marry Asgerd, the woman Egill secretly loves. Though their family has been feuding with Norway's King, Harald, Thorolf hopes the marriage will make him the King's man and pledges his loyalty to Harald's son, Eirik. Con el nombre de Tales of The Vikings se emitió una serie de televisión en Estados Unidos en los años 1959-60, producida por Kirk Douglas (Brynaprod, S.A. Production) para United Artists Television. En total fueron 39 capítulos de 30 minutos con algunos personajes fijos, siendo protagonistas Jerome Courtland en el papel de Leif Erikson y Buddy Baer como su fiel amigo Haldar. Esta serie fue rodada en Ontario (Canadá) y se aprovecharon los decorados, vestuario y barcos de la película The Vikings (1958), de la que Kirk Douglas fue el principal actor y productor. A Viking prisoner rescued by Leif speaks of hidden treasure in the Saracen country. King Harald Bluetooth has seized Longford, the only narrow passage in the region for ships to reach the open sea. Any ships trying to pass are mysteriously burned by an invisible "god-fire." Leif and his men are determined to break through to find and destroy the secret weapon. Because Leif desperately needs meat for his men, he lands on the island of Guernsey. When he attempts to buy cows and a prize bull from the lord of the island, his offer produces a conflict. A beautiful stowaway is accused of bringing danger when lightning strikes Leif's ship during a thunderstorm. Leif returns home after two years at sea and receives a stormy welcome. A famine prompts Leif to trade his fabled sword for a supply ship, which can save his tribesmen from starvation. When Leif seems too anxious to buy a particular slave, a pirate grows suspicious. Leif’s ship is grounded during a fog. An itinerant monk persuades Leif to go ashore and look for a magic stone which would allow the Vikings to navigate by the North Star. Leif’s party is accused of trying to steal the local king’s gold which will cause a war. Leif tackles with a brave man who has become obsessed with fear. Astrid is kidnapped and to pay her ransom, Lief is told that he must lead a force in an attack on England. Leif searches for a strange remedy thought to be the only cure for the ailing Queen Elfrida. In his quest he is aided by a girl exiled from her village. A tribal chieftain and his sister plot to overthrow their king and take power themselves. Leif tries to get a wife for the trainer of a performing bear. On the search he encounters Aud, who proves that her nature is a fiery one. A slave kidnaps his master's daughter and takes her to a port notorious for its thieves, pirates and slave-traders. Leif learns a lesson in modesty when, jealous of the triumphant tale related by a victorious Viking, he embarks on a mission in search of glory. Regaled with wondrous reports of the distant land of Erin, Leif andFinn embark on a journey to that country. There, Leif must clear himself of charges brought against him because of his outward resemblance to a hated warrior who has terrorized the people. Shipwrecked, Leif and his men swim ashore without their weapons and arrive on hostile land. The ruler of the territory decides to behead them. A man who has tried vainly to induce rain, decides to offer himself as a sacrifice. A visiting monarch demands a royal captive when he grows suspicious of his host's delay in receiving him. A rival Viking chieftain blinds Leif's master craftsman and attempts to kill Leif. Leif and Halder are taken aboard an English ship. Unknown to the crew, the captain, a man of iron discipline, is planning to steal the cargo. 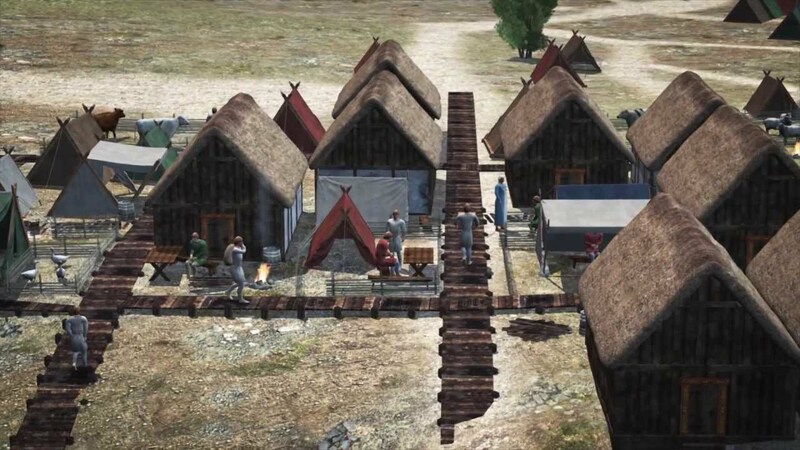 Leif and Finn arrive in the village where Halder is to be married, and find bloodshed instead of festivity. Tricked by a pirate, Leif and Haldar are forced onto his ship where they serve him as galley slaves. Abandoned as dead on the battlefield, Leif struggles for his life and freedom from a barbarian chieftain. A man who wants to replace the present ruler trumps up a fight over a new ax and sends for mercenaries. A caliph’s daughter and his favorite dancing girl try to persuade Leif and Finn to secure their freedom. The viscious Otar, (Keiron Moore) unfairly forces his neighbors into a blood feud, causng several deaths. Leif intervenes, attempting to forestall further killings by having Otar tried, judged and punished through legal means. What did you do for your folk and soil? Did you fight bravely and died in fight?